While Greece and international creditors are close to an agreement on the bailout program review and the release of the next loan tranche, some differences between Germany and the International Monetary Fund remain. The Fund insists that the fiscal targets set for Greece are too optimistic and that further debt relief is required. 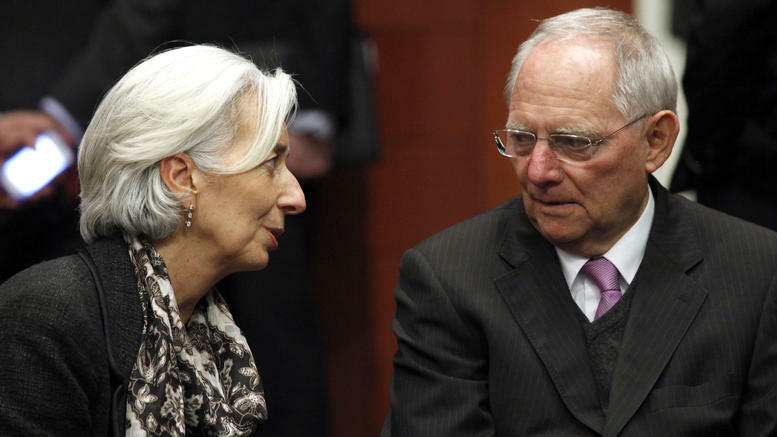 As a result, the IMF has been reluctant to contribute to the bailout program financially. On the other hand, Europe, and especially Germany, are more lenient towards Greece and more optimistic about the outcome of the ongoing negotiations. With Germany coming closer to the general elections (September), the German government is afraid to commit to any decisions that might have a political cost. Lately, the IMF is considering participation in the program with lower budget targets, but under the condition that the Europeans will commit to release loan tranches to Greece if it implements the agreed measures and goes beyond the IMF target for 2018 (primary surplus of 2% of GDP) but does not reach the target of the European creditors (3.5%). However, there is the question whether Greece can reach its fiscal targets beyond 2018. According to IMF estimates, the primary surplus will reach 1.8% of GDP in 2017, 2% in 2018 and 1.5% from 2019 onwards – well below the target of the 3.5% set by the program. The IMF has been criticized of being too pessimistic in its forecasts. The Greek government reached a primary surplus of 4.2% in 2016, well above expectations. However, the Fund argues, the success is due to one-off measures and circumstances that will not be repeated this year, such as increased earnings of the Bank of Greece due to emergency liquidity assistance (ELA), increased revenues from the 100% of taxes paid in advance by professionals and freelancers and the tax office offsetting state debts with taxpayers’ debts.